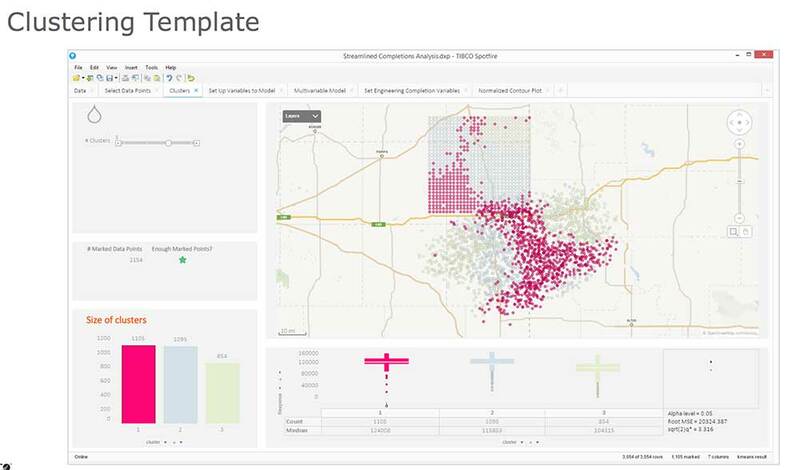 TIBCO Spotfire is one of just a handful of visual analytics platforms that successfully combines ease-of-use with some very advanced analytics. Of course the term ‘advanced analytics’ is relative, and for someone familiar with scatterplots and bar charts, clustering will seem considerably more advanced. The beauty of Spotfire is that it will go as far as a user wants to go – with the ease of use features of a product like Tableau, and the analytical sophistication of platforms such as SAS and SPSS. The analytical capability of Spotfire is tiered. Novice users, or those with modest requirements need go no further than the first tier – a drag and drop visual interface for the creation of virtually any chart, graph, map, etc. The next level is called Out-of-the-Box Advanced Analytics. It includes the ability to incorporate statistical features into visuals, look for correlations, apply regression models and sophisticated forecasts, and cluster data to find similarities between different instances within a database. Much of this is available from a sidebar menu and simply requires users to enter the relevant parameters. The scope of Spotfire is enhanced considerably by its tight integration with the R statistical and analytical language. It also features a very fast runtime environment for R (TERR – the TIBCO Enterprise Runtime for R), which overcomes the relatively poor performance of the open source platform and makes it suitable for enterprise deployment. Spotfire supports other languages such as SAS, MATLAB, KNIME, S+, and data platforms such as Spark and MapReduce databases. 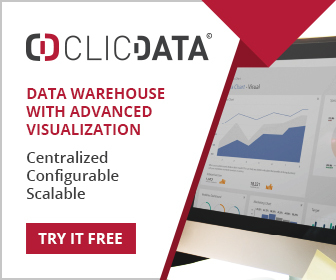 These capabilities mean developers can create sophisticated analytical functions that are made available to users in much the same way as any other function, and are called Data Functions within Spotfire. For very advanced functionality Spotfire can work with TIBCO StreamBase so that analytical models can be applied to real-time streaming data. This has obvious applications in the Internet of Things, and wide support is provided for Apache Spark. With its advanced analytics capabilities Spotfire is often used in businesses that have to deal with technical or financial data. Energy companies, pharmaceuticals, and firms in financial services are all examples of where Spotfire finds wide usage. However as businesses in general demand more from their analysis, so Spotfire will find more widespread adoption.